We are joined by Democratic republic of Congo musician Mapumba Cilombo. Mapumba was born in Congo but attended school in Zambia before going on to focus on his music in South Africa. He is a multi-instrumental talented musician who performs with an acoustic steal guitar. known for his nostalgic melodies that are accompanied by powerful vocals and energetic stage performances, that have gone to make powerful force to be reckoned with in the Congolese music scene. His performances, whether as a solo act or band (Mapumba, Percussion and Base Guitar), will always steal the show. 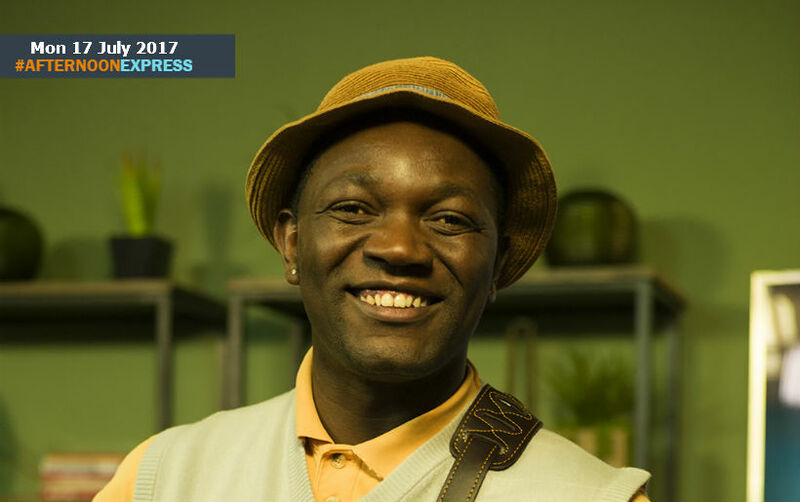 His musical style is a blend of central-African ethnic /folk with African pop music with lyrics that are mostly performed in wahili, English, French and Chiluba. He has been performing professionally for over two decades and has released two albums, been included on various Putumayo compilations and performed all around the world such as Nelson Mandela's 2006 birthday dinner. In 2010, he performed and directed in the opening event of the closing night to the world economic summit 2010, in Davos Switzerland. He was also a presenter for Studio 53, for which traveled to over a dozen countries in Africa, for 4 years.